Welcome to our Scooby-Doo! and KISS: Rock and Roll Mystery Blu-ray Giveaway! Everyone’s favorite crime fighting kids are back with their biggest mystery ever in Scooby-Doo! and KISS: Rock and Roll Mystery! 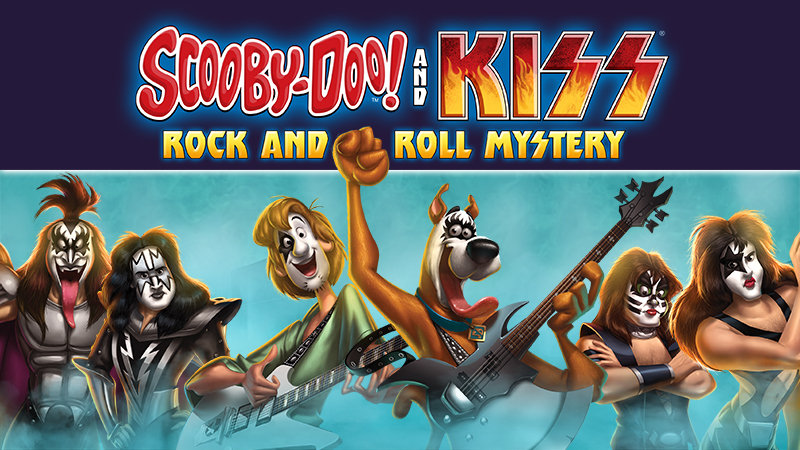 To help them solve the case the Scooby gang teams up with Rock and Roll legends KISS for an all new Mystery Inc. adventure! The DVD/Blu-Ray releases July 21st. Win your copy below! 1. Please like us on Facebook and follow us on Twitter if you don't already. 2. Click around on the soundboard and comment with your favorite sound below (please include your full name). 3. Tweet your answer @Geekwithmak using hashtags #ScoobyDoo and include a link to our contest. Contest ends July 28th, 2015 11:00pm ET. Each household is only eligible to win One (1) Scooby Doo and KISS Rock & Roll Mystery Blu-ray Combo Pack via blog reviews and giveaways. Only one entrant per mailing address per giveaway. If you have won the same prize on another blog, you will not be eligible to win it again. Winner is subject to eligibility verification. Giveaway is open to US and Canadian residents.